ORATORIO (IRE) (Bay 2002-Stud 2006). 6 wins-4 at 2, Sandown Eclipse S., Gr.1. Sire of 982 rnrs, 595 wnrs, 45 SW, inc. Rave - Military Attack (H.K.) (HKJC Audemars Piguet Queen Elizabeth II Cup, Gr.1), Biz the Nurse, Banchee, Beethoven, Mourinho, Manawanui, Temida, Cherry Collect, Viztoria, Lolly for Dolly, King Torus, Ottimo, Torio's Quest, Takar, Scream Blue Murder, Orator's Daughter, Moonwalk in Paris, Sons of John, Esentepe, Faciascura, etc. Coolotta (g. by Oratorio). 2 wins. See below. Dragon's Mist (f. by Pendragon). 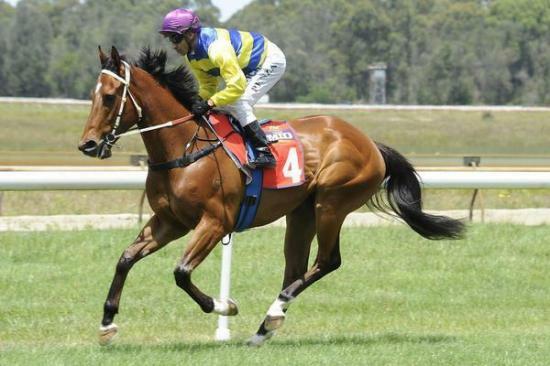 Winner at 1200m in 2014-15 in Aust. Sweet Missile. 2 wins at 2 in 2015-16 in Aust. Amazing Brother. 2 wins at 1200m, 1400m in Malaysia. Misty O'Yamba. 2 wins at 900m, 1100m in Aust. Hot Mist. Winner at 1100m in 2015-16 in Aust. Magical Misty. Winner. See above. Cosmic Force - Cosmic Prince (Sing.). 7 wins-1 at 2-from 1000m to 1800m, STC Paul Williams & Leo Barry H., AJC Energy Australia H., Singapore TC Benchmark 67 H., Class 5 H.-3 times, 2d Singapore TC Kranji S.
Fine Mist (Good Journey). 6 wins-1 at 2-to 1200m, A$227,550, to 2015-16, ATC Pro-Ride Fly H., Drummond Golf H., Blackwoods Gearwrench H., Pro-Ride H., 2d Scone RC Denise's Joy S., L, 3d Qld Tatt's RC Arcade Classic, L.
PLAIN MAGIC (Magic Albert). 7 wins to 1300m, A$421,950, BRC J Cadell Garrick H., L, Sun Ray Systems Quality H., BTC Dirod Homes Noble House H., QTC Harvey Norman H., GCTC Magic Millions H., BRC Thebigscreencompany.com.au H., 3d QTC Queensland Day P., L.
Another Misty (Al Hareb). 5 wins. See above. RIVER MIST (Sri Pekan). 8 wins-4 at 2-from 1000m to 1600m, A$290,905, Western Australian Guineas, Gr.2, WATC Beaufine S., L, Volatile Welter H., Shot of Thunder 2YO H., Lord Treat 2YO H., Jameson Chill H., Golden Centre 2YO H., 2d WATC Roma Cup, Gr.3, York S., L, Belmont Guineas, L, Grandstand Cup, L, 3d WATC Roma Cup, Gr.3, HG Bolton Sprint H., L, Farnley S., L.
Copper County. 18 wins-2 at 2-to 1200m, A$248,068, BATC Doomben Dash, ABC-TV Flying H., Mercy Centre Doomben Dash H., BTC Treasury Casino Flying H., Japan NAR Flying H., QTC Playground & Recreation Welter H., GCTC Bat Out of Hell Flying H.
Cronick. 11 wins-2 at 2-to 1300m, A$111,900, BTC Therapists 2YO H., Quick Fit Tyres H., Mattress Discounters H., QTC Blue Star Office H., FM104 Triple M Young Members' Cup, 2d BTC Jack Daniels H., 3d QTC Round the World H.
Solidaric. 6 wins-1 at 2-to 1500m, QTC Dalrello H., 2d QTC Flying Ace H., 3d BTC Midweek Groups H.
Race Record: 10 Starts 2-2-1 A$33,910. 2 wins at 1300m, 1400m in 2015-16 in Aust.